Constex is a business theme designed specifically for construction, building companies and those that offer building services. 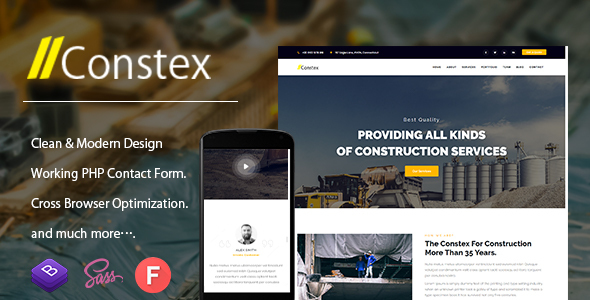 Constex Template has a beautiful and unique design that will be best suited for your online web presence. This template is well organized and very easy to customize.